Macroreer Intel XDACBL5M Compatible 10G SFP+ DAC Twinax Cable (5-meter, passive, SFP+ to SFP+, 24AWG). Intel XDACBL5M is supported on a wide range of Intel equipment. Macroreer line of Direct Attach Cables include both passive and active Infiniband, SFP, SFP+, QSFP+ and CXP solutions. 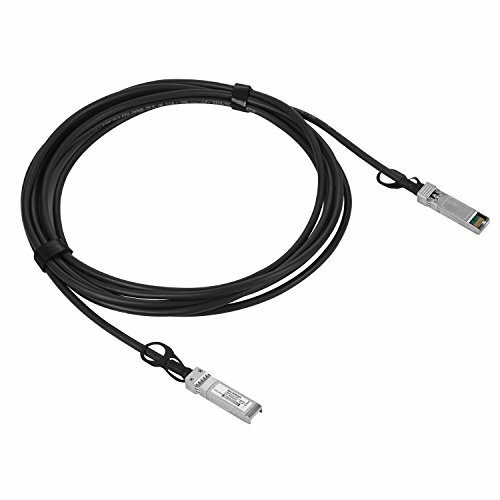 Macroreer's Direct Attach Cable Line is a cost effective way to connect within racks (TWINAX) and from within the data center (Active Optical Cable) supporting 100% guaranteed functionality within their intended server/switch environment. XDACBL5M is compliant and certified to perform above OEM specifications in form, fit and function and is tested in high performance computing clusters utilizing servers, switches, storage and host card adapters. If you have any questions about this product by Macroreer, contact us by completing and submitting the form below. If you are looking for a specif part number, please include it with your message.